A dramatic downpour at the weekend saw some parts of the Province experience a month’s-worth of rain in just six hours, inundating roads and homes with floodwater. The Department of Infrastructure (DfI) said the rainfall on Saturday was so intense that it is being regarded as a once-in-50-years event. The DFI said its staff had handed out sandbags in affected areas, with Roads Service engineer Gareth Noble saying that the worst affected areas were concentrated in a rough belt stretching from Craigavon to Lisburn, then north along the east of Lough Neagh to Antrim town. He also said that parts of Newtownabbey and Belfast were also affected. “The Met Office had us fairly well warned,” he said. But he added: “Whenever it did happen around lunchtime it was more intense than we’d been warned of. Whilst there were a raft of road closures, he said all roads were open again by 7pm, except one – the Loughview Road, Crumlin, which had been hit by a mudslide. The BBC quoted one resident of Soye Crescent in Lurgan, Terry Mallon, as saying: “Nobody could get in or out. Your only option was to walk through the water, which was knee deep. The wettest place of all was Belfast International Airport, where the Met Office’s weather station recorded 98.8mm of rainfall from midnight Friday/Saturday to midnight Saturday/Sunday. And 80.6mm of that rain fell in a mere six-hour window, from 10am to 4pm. It is the highest reading that weather station has ever recorded, with its records having begun in 1927. The second wettest place over that 24-hour period was Katesbridge, Co Down, where 79mm of rain was recorded. To gauge just how extreme this is, throughout the whole month of July in Northern Ireland, the average amount of rain that falls across the month is 81.2mm. Nowhere in Great Britain was even remotely as wet as Northern Ireland on Saturday. The highest Great Britain reading during the same 24-hour period had been a comparatively mild 51mm, recorded at Port Ellen, south-west Scotland. However, it was not a record-breakingly wet weekend for Northern Ireland as a whole. Rather, the soggiest single day ever seen in the Province was October 31, 1968, when 159mm fell at the Tollymore Forest weather station within 24 hours. An emergency payment scheme for homeowners has been opened. 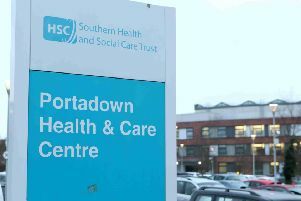 Those affected by “severe inconvenience” can apply for payments worth £1,000 from local councils, Stormont’s Communities Department said.